The same city that sells bogus labelled clothing, pirated DVDs and fake IDs to travellers on a busy street in the middle of the day also boasts the largest collection of prostitutes this side of Amsterdam, notorious ping pong shows and dodgy massages with happy endings. 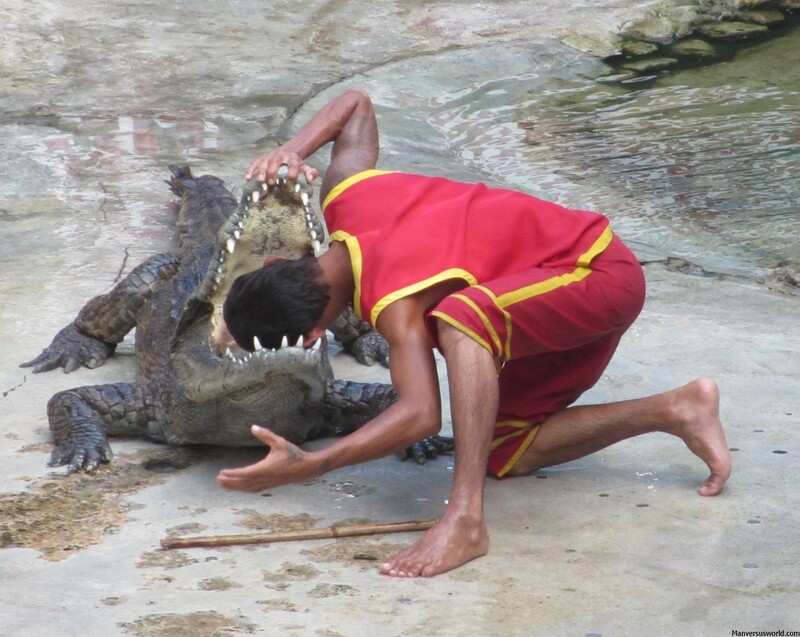 And if that’s not scary enough, you can also go see a man wrestle a crocodile before eventually putting his head right inside the great beast’s toothy mouth. More family-friendly but no less frightening, that’s exactly what this traveller found himself going to see on his last day in Thailand’s capital. 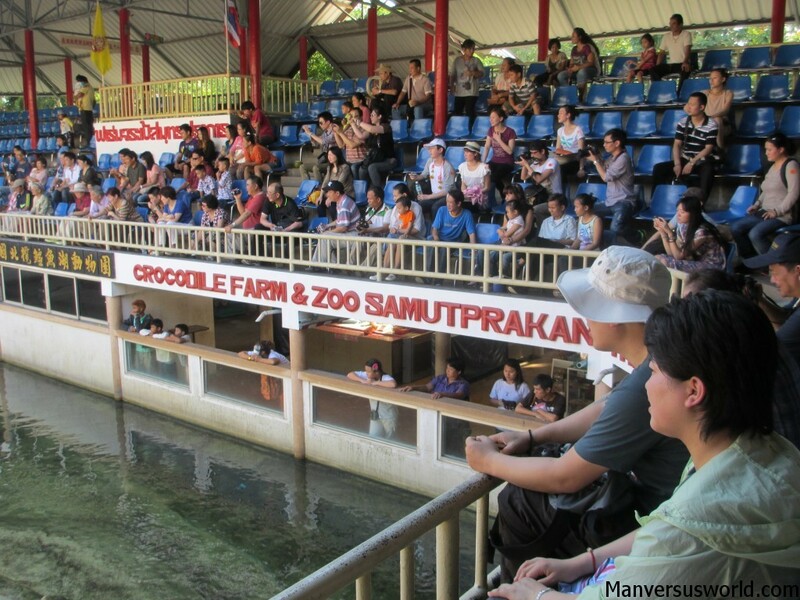 Situated 10km from Bangkok, Samutprakarn Crocodile Farm and Zoo is home to more than 100,000 crocs. That makes it the world’s largest crocodile farm, at least according to its brochure. The very same brochure also proudly states that its crocodile wrestling show is the best in the world. A bold claim, perhaps, but one that is hard to dismiss after having seen the show. It starts with little fanfare. Two men in red enter a crocodile enclosure and proceed to drag two or three of the toothy beasts by the tail into the centre of the pen. The crocodiles try to turn and bite the men and, after a couple of close calls, the crocs eventually settle down and it’s on with the show. The men, speaking in Thai, proceed to dare each other to put their hands in its mouth. At least that’s what I think they’re saying. 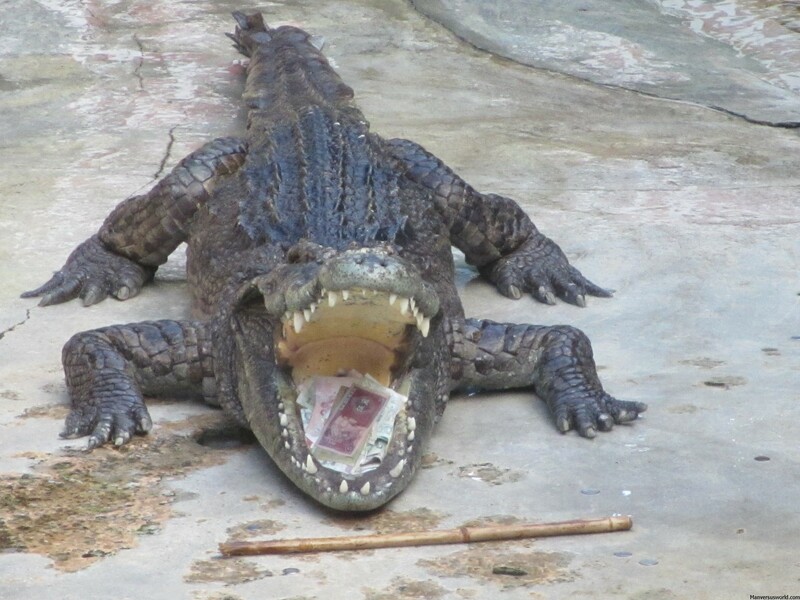 And, as money reigns down from the ecstatic crowd, they actually store the tips inside the crocodile’s mouth. Naturally, the level of danger escalates as the show progresses until you literally have a man’s head inside a crocodile’s mouth. 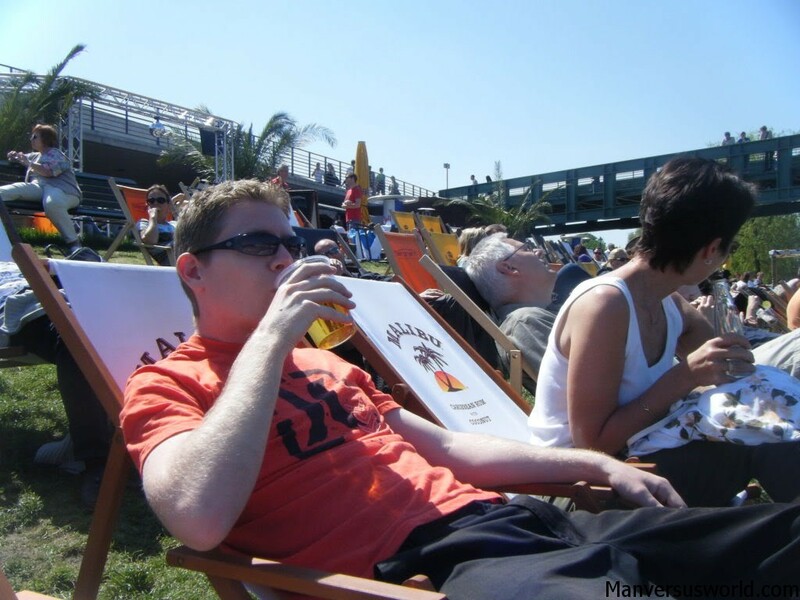 The crowd goes wild – that is, after he pulls his head out in one piece. Until the man pulls his head out of the crocodile’s mouth everyone is silent, nobody stirs out of fear that even the tiniest of noises will cause the great monster to relax its powerful jaws. It’s a wild show; one that has you constantly on the edge of your seat and reaching for your camera in case you’re about to witness a man being eaten by an angry crocodile. It’s a must-see show for any and all travellers to Bangkok looking to escape Khaosan Road and the central city for a couple of hours. Founded in 1950, Samutprakarn Crocodile Farm and Zoo also boasts elephant shows, a dinosaur museum and a whole bunch of big cats, monkeys, birds and hippopotami. But it’s the crocodiles that Samutprakarn is really famous for. The park is dedicated to crocodile research, education and preservation – while also selling crocodile skins and croc-related products. Well, I guess everyone has got to make a living somehow, right? 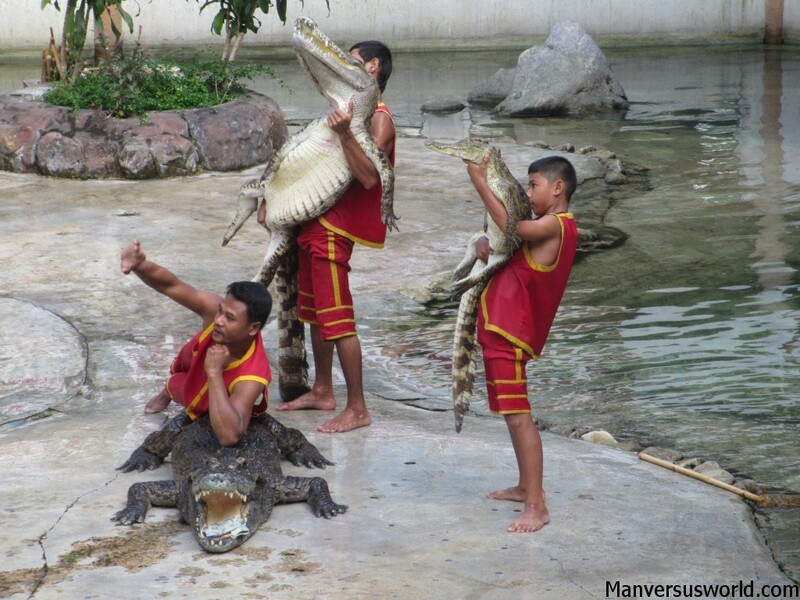 The daily crocodile show starts every hour, on the hour from 9am until 4pm – except for midday, when I’d imagine they stuff so much food into these crocodiles that they wouldn’t even dream of biting down on human flesh. Haha, it would make for a wicked-scary piggy bank! The video is downright scary! As I was reading through this post mate, I was edging on with fears. Darn, this one is raw scares for me. i dont think i will see this when I get to BKK. 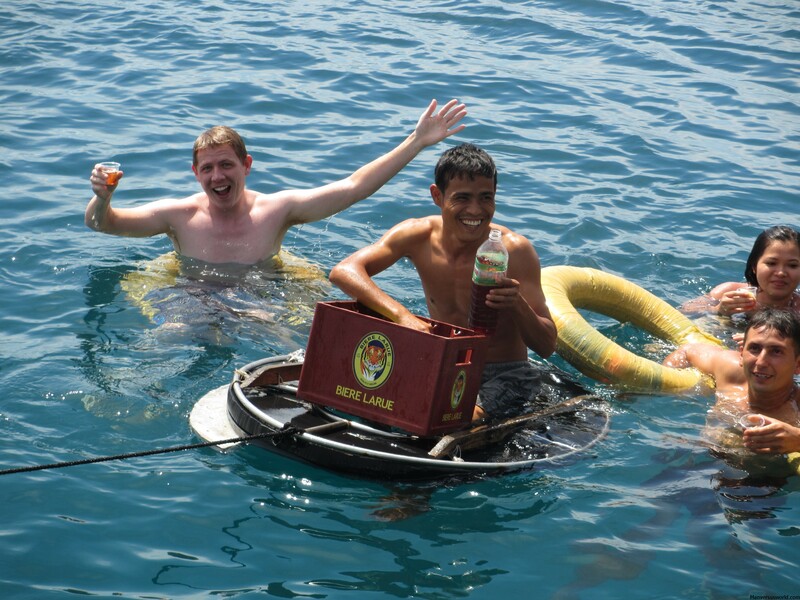 Haha, you will not get me to talk about naughty Bangkok ping pong shows – my mother reads this blog!